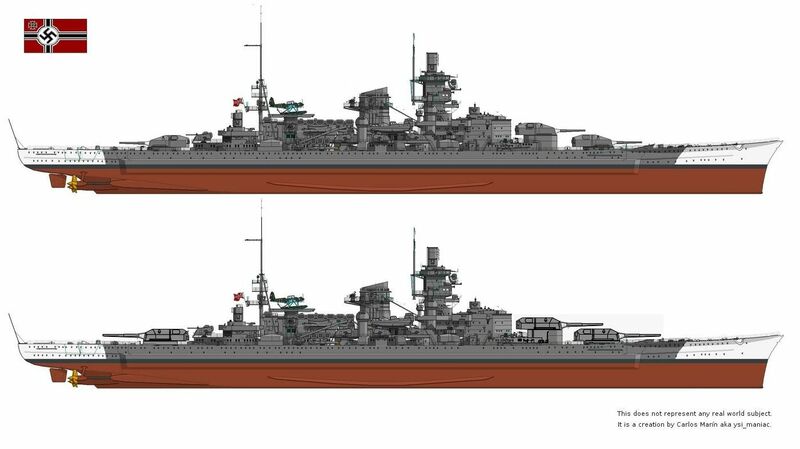 Mainly done with Scharnhorst and Moskva bits. Anti Shipping V-1 derivatives or perhaps “Zitteroschen” supersonic anti-shipping missiles plus V-2s? So they'd just fire the V-1s etc. in the general direction of the enemy? And hope for the best? OK, I guess, if your enemy is in port and not moving. not even der Übermenschen, was even close to a solution. Well, I suppose you could use the piloted version. Dang,,, is that nice or what ! 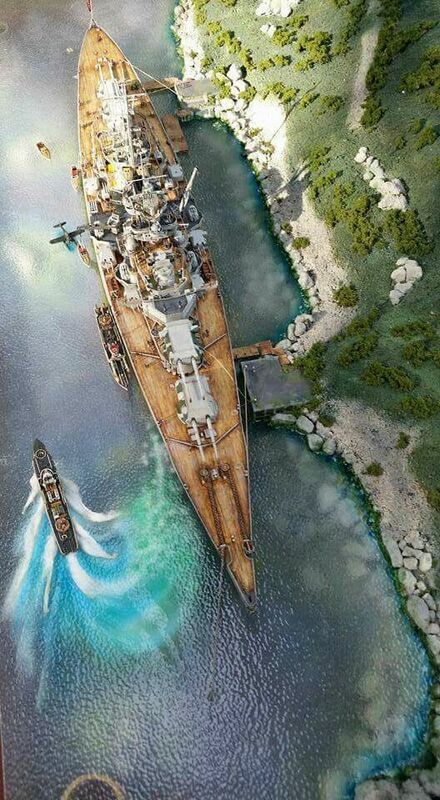 A RW project: Scharnhorst/Gneisenau with 15 inch guns. Original and upgunned. V-1s would be ambitious for use against capital ships on the horizon, if a Fritz-X guidance system was grafted onto them. Fritz-X was steered by the bombardier in the launching aircraft over a radio link between the aircraft's Kehl transmitter and the weapon's Straßburg receiver. The bombardier had to be able to see the target at all times, and like the Azon ordnance, the Fritz-X bomb had a flare in the tail so it could be seen from the controlling aircraft for its MCLOS-form guidance to control it properly. 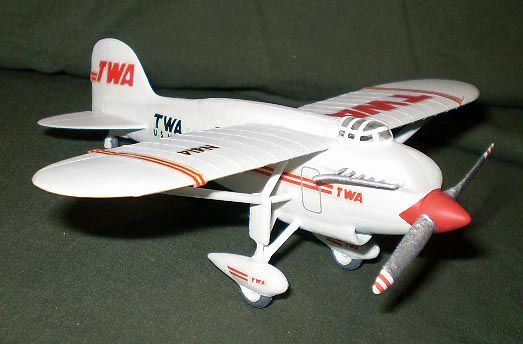 The disadvantage with this — in comparison to fully autonomous-guidance glide bombs like the operational U.S. Navy's Bat radar-homing glide bomb, used against Japan in 1944-45 — were that the aircraft had to be flown toward the target on a steady course and that as the missile neared its target it became possible to misguide by jamming its radio channel. Still retaining those seaplanes, huh? 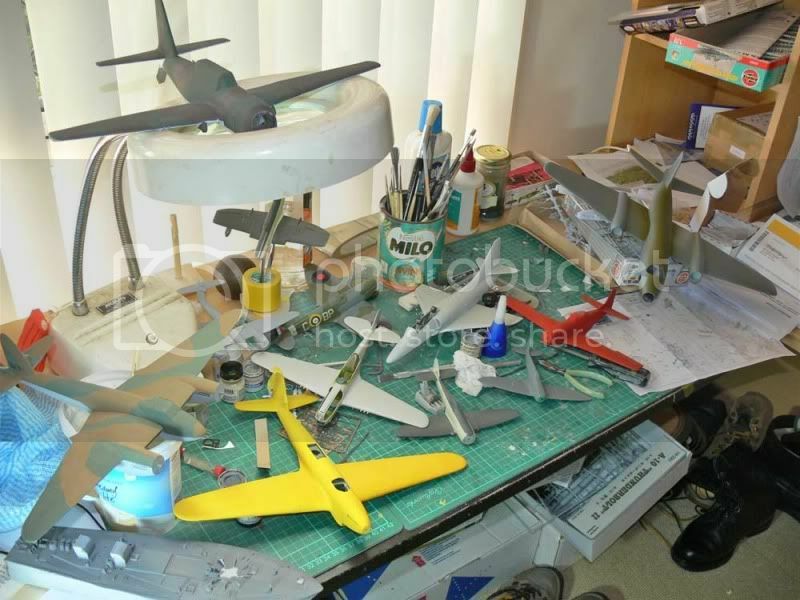 In this line, I envisaged posibilities to install them on a Bismarck hull. 15 inch is included for comparison purposes. 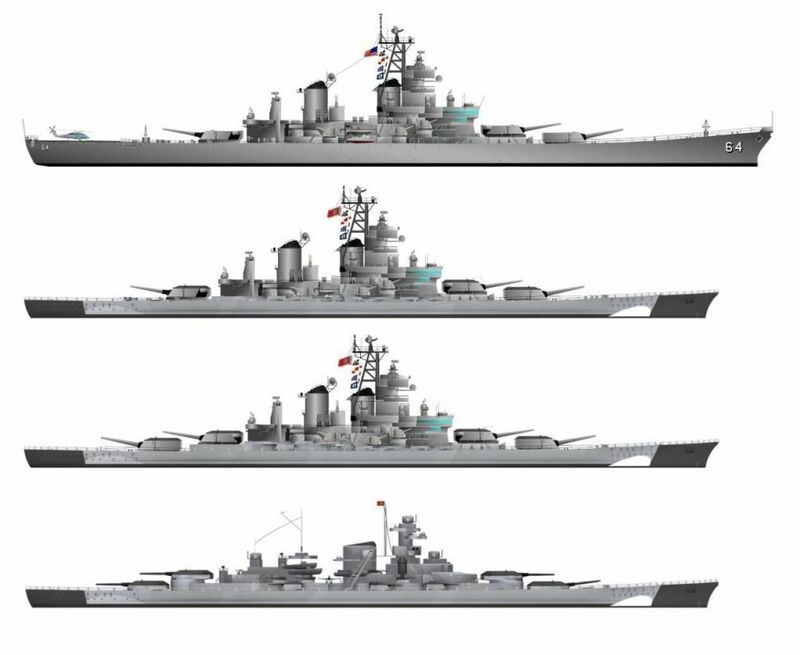 This pic, from World of Warships, seems to represent two stages in Scharnhorst evolution: top, original, and bottom, after eventual upgunning. 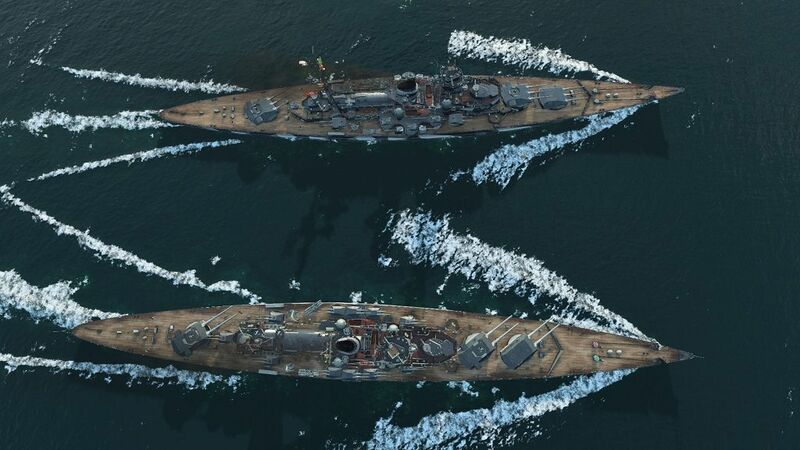 But bow looks a little different and bottom ship looks bigger than top ship. 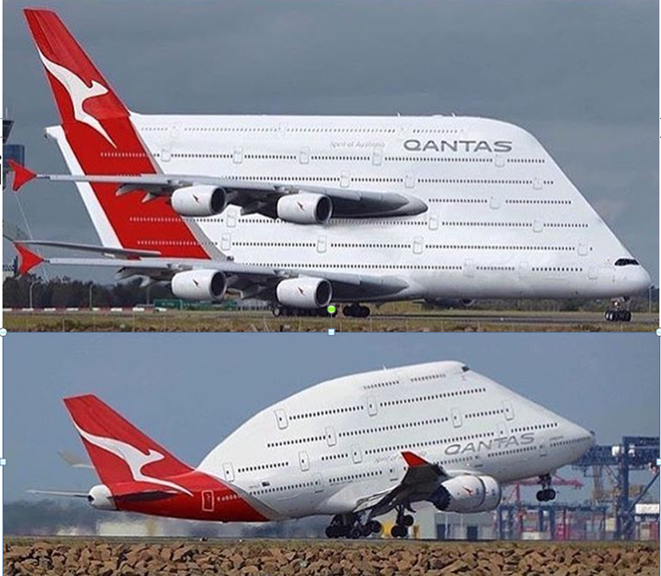 Is it just an effect of perspective? 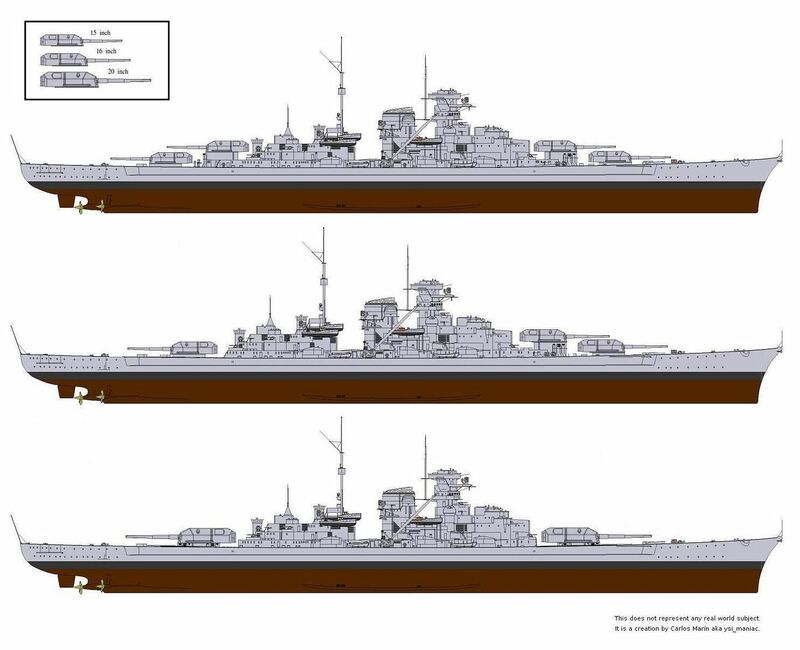 Hers an idea, how about the UKs treaty with NAZI Germany had the 35000 ton max but limited calibre to 11", a 12 gun (four triple) 11" Bismarck and Tirpitz.